No onward chain! This 2 double bedroom terraced house is located in a popular cul-de-sac in the village, which is within a short walk of the well-regarded primary school, doctor's surgery, library, bus stops, farm shops and village store. There is scope to enlarge this property, subject to the necessary consents, or further improve it, making it ideal to create your perfect home. 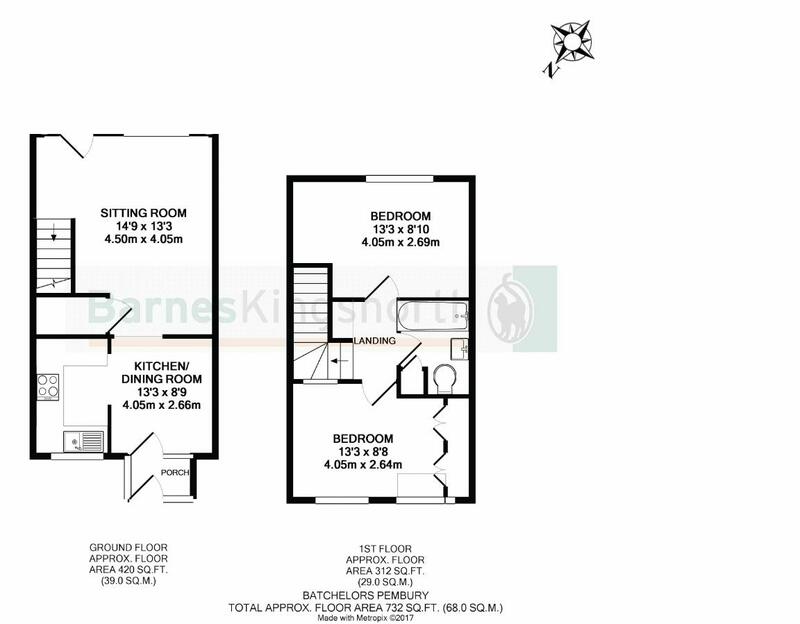 The accommodation comprises: Useful entrance porch, kitchen/dining room, sitting room with door to the rear garden. Upstairs there are 2 double bedrooms and a bathroom. There is a garage en-bloc and some neighbours have created parking to the front where there is currently a lawned garden. To the rear, there is a good size, level garden which is south-east facing, with lawn and two patios with a gate to the rear. New to Pembury? This is a village with a good community and lots to get involved with close enough to also make use of the amenities in Tunbridge Wells. Our facilities range from a farm shop and pick-your-own fruit farms, through to a supermarket and there's even a commuter coach service running from the village to London on weekdays.